We strive to help orphans, widows and the most in need around the world, irrespective of creed, caste, colour or political affiliation. To collect and distribute funds in an ethical, transparent and accountable manner. With so many people in need globally, the task of providing humanitarian relief is daunting. But, like a small pebble thrown into a large pond, the ripples can still reach the shore. After 3 months of perseverance and dedication we are pleased to report the Yemen Food Bakery is now opened, which is providing daily food for 1000’s of people affected by the war. We are pleased to announce the launch of a empowerment project for Yemen! We have been trying for the last 10 months to gain a visa to enter Yemen, but due to the ongoing situation, unfortunately we have not been able obtain a visa yet. So we won’t be traveling to Yemen just now but we’ve located trusted people already working on the ground, enabling us to help. 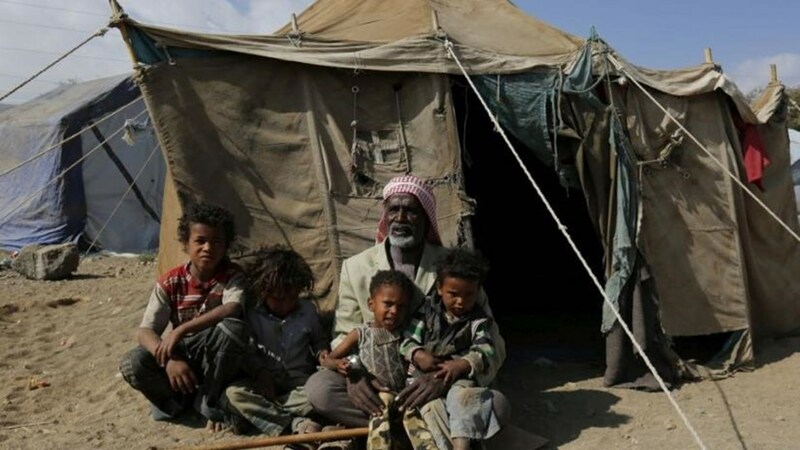 Did you know 14 million people in Yemen do not have enough food or clean water, and seven million are at risk of dying of starvation. More than 40,000 people have been killed or injured due to warfare in the villages, losing their homes, their safety and healthcare. 3.1 million people have been forced out of their homes. Millions of people are living in overpopulated shelters or damaged homes, while 184,000 people have fled to other countries. Due to the desperate situation in Yemen, which is constantly getting worse, and us not obtaining visas, we have teamed up with Haidara (http://www.haidaraf.org/en/) , a local trusted and vetted charity organization on the ground for an empowerment project of building a bakery, that will give bread/ baked goods to the poorest and most destitute in Sana`a (Capital of Yemen). Any money generated by the bakery will go towards the running of the bakery, benefiting orphans, widows & the disabled. We know everyone is disturbed by what is happening in Yemen. We hope you will fully join in this effort to help ease the suffering, and remove some of the guilt we all feel for not being able to do more. Please help us reach our target as the civil war has been going on for more than 3 years and we need more empowerment charity projects! As always, we will provide full feedback and report back to all of the doners. We will clearly show how and where the money was spent. We were in Tumbru Village, at the border between Bangladesh and Myanmar, across the creek of water there are 1289 Rohingya families, approx 6,000 people. They only had a few days food left when we arrived. We arranged for 1290 monthly family food packs for each family in the camp. Plus we provided necessary medicine for diarrhea, fever, multivitamins, as most people had such symptoms. More…….. Working in partnership with Palestinian Welfare House, in June 2012 we installed water filters in Palestine to give access to clean, fresh drinking water and prevent water-related diseases.